HOLM, Flemming — 83, has written his last letter to the editor. He passed away in South Shore Regional Hospital on Thanksgiving Sunday, October 11, 2009, following a severe heart attack the day before. He was born in 1926 in Denmark, to the late Viggo and Magda (Birkholm) Holm. They emigrated to Canada in 1929, and he never lost the Danish language. He grew up in Pictou County, N.S. During the Depression his father worked on farms in Loch Broom, Bay View, and Caribou, and finally Abercrombie where they bought their own farm. Flemming was valedictorian for his high school graduating class of Colchester County Academy in Truro. 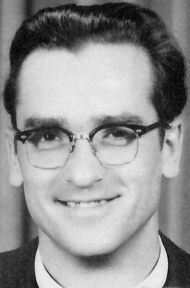 He attended Kings and Dalhousie universities, receiving an MA in History before attending Pine Hill Divinity College. 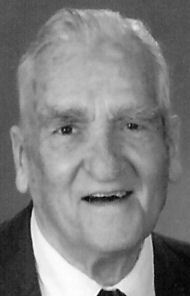 He was ordained a United Church Minister in 1950 and served first in Readlyn, Sask., returning to Pictou County and the Saltsprings-Alma pastorate in 1954. He was involved in the beginnings of the Atlantic Christian Training Centre (Tatamagouche Centre) and there met June Eikhoud. They married in 1957 and raised four children while he served congregations in New Mills, N.B. ; Valley outside Truro; and Antigonish. In 1973 he left the active ministry to work for the Nova Scotia Human Rights Commission in Sydney for six years then the Halifax office of the Canadian Human Rights Commission for 12 years. He retired in 1991. He continued to live in Dartmouth, caring for his parents in their old age. In 2001, his daughter Heather and her husband made him “an offer he couldn’t refuse,” and he became a live-in grandfather, “Bestefar” in Danish, to his only grandchild, Malcolm. The two of them became well-known in Kentville and later on the South Shore for their many excursions together, including frequent stops at Tim Horton’s. At home, they shared their interests in reading, discussion, humour, geography, history and world affairs. Flemming lived with Malcolm’s family until his death. The call for social justice was the part of Christ’s message that spoke to Flemming most clearly. It resonated with the social and humanitarian values he inherited from his Danish forbearers. Dear to his heart was Brunswick Street United Church and its inner city mission in north end Halifax. Later he was an active member of Port Wallis United Church, the United Church of St. Paul and St. Stephen in Kentville, and Trinity United Church in Mahone Bay. In each of these congregations, he spearheaded action on issues of injustice and inequality, as well as bible study. He used preaching opportunities to speak of individual and collective responsibility to make our communities and the world a better place. As much as Flemming was inspired by community and political leaders with a strong sense of social justice, so too were others touched by his humility, sense of dignity and equality for all, encyclopaedic knowledge of history, wit and humour. In retirement, he continued to practice what he preached, giving voice to causes of social justice. He was instrumental in the effort to seek justice and protection for four crewmembers of the ship Maersk Dubai who had spoken out in Halifax about the deaths of stowaways on the high seas. After a trip to Nicaragua in 1987, he often spoke in public on the efforts of the Sandinista government to improve the lives of its citizens. He frequently wrote politicians and newspapers on issues of the day, and many of these letters can be found on his blog at www.FlemmingHolm.ca. In 1998, he received the Human Rights Citizenship Award from the Nova Scotia Human Rights Commission. He was named Pine Hill Alumnus of the Year in 2003. He wrote a number of histories and study guides over the years, most recently a History of Trinity United Church, Mahone Bay (2005). He is survived by his children, Heather Holm (Steve Sepulchre), Martins Point; Pamela Holm, Perth, Ont. ; Michael Holm (Dorcas Beaton), Toronto and Carol Holm (Blake Rink), Calgary; grandson, Malcolm Sepulchre, Martins Point; sister, Anne Hines (Patrick Mullen), Rosarito, Mexico; brother, John (Jocelyne) Holm, Victoria, B.C. ; former wife, June Maginley (Charles), Mahone Bay; aunt, Emilie Lindblad, Stellarton; nieces and nephews, Kathy Parker, Karen Lajoie, Ken Power, Douglas Power, Dan Holm and Nicolas Holm; many cousins, grand and great-grand-nieces and nephews, and dear friends who remember him fondly. Thanks to Dr. David Martell and to the ICU staff at SSRH: nurses Dan, Margie and Roisin, and Dr. Kim Crawford; for their exceptional care, compassion and good humour. Funeral will be held in Trinity United Church, Mahone Bay, Saturday, October 17, at 2 p.m., followed by a reception in the church hall. Cremation has taken place. Interment in Abercrombie Cemetery on Sunday, October 18, at 3 p.m. Family flowers only, please. Donations may be made in his name to the Stephen Lewis Foundation, the Tatamagouche Centre or to Brunswick Street Mission, Halifax. Funeral arrangements have been entrusted to Mahone Funeral Home. On-line condolences may be made at: www.MahoneFuneral.ca.